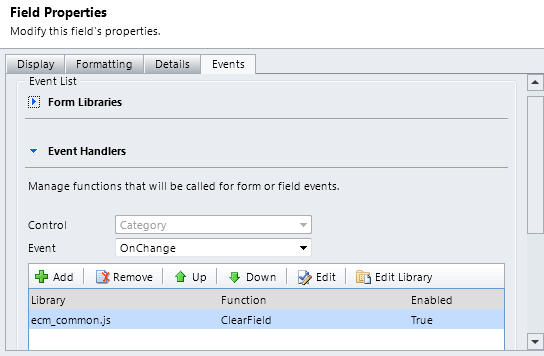 CRM 2011 allows you to filter a given set of records based on relations. 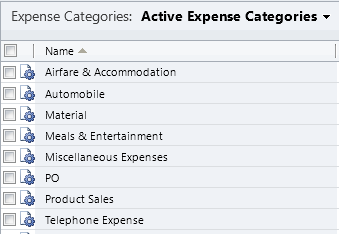 For instance, in this example, the expense type and expense category are related, in which for each expense type we have a related expense category. 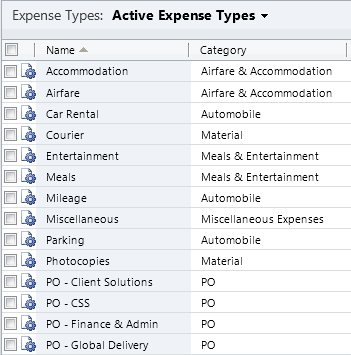 So lets see how we can configure CRM 2011 to only show the related expense types based on some selected expense category. 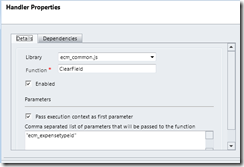 In order to configure record filtering, you have to customize the containing entity form. In this example, it is the Expense Claim entity form. 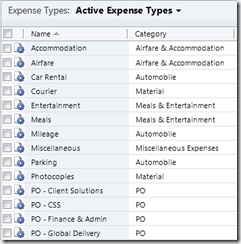 Once the entity form is open, select the “expense type” filed and open its properties (e.g. by double-clicking). Go to the Related Record Filtering section on Display tab. Here, you can enable the filtering by selecting Only show records where: and specifying the criteria bellow. 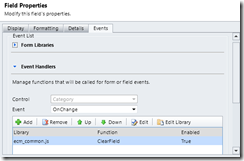 Figure 3: Enable record filtering for Expense Types lookup field. 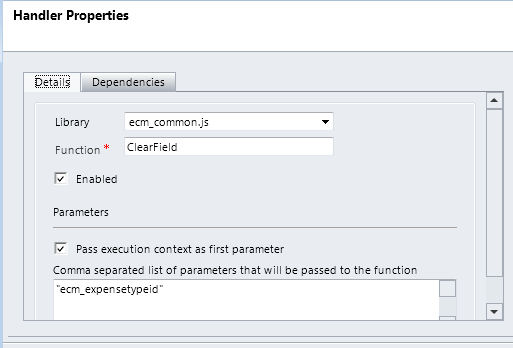 The easiest way we can maintain the dependencies is by clearing the dependent lookup when ever we change the value of the primary lookup. 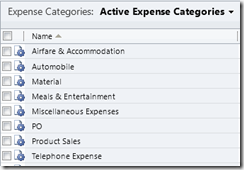 For instance, in this example, we need to clear the value of expense type when ever we change the value of expense category. 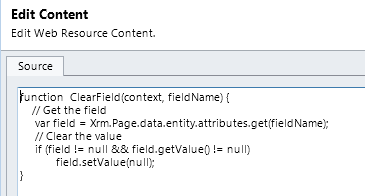 First, you need to define a JScript function to clear the value of a field. For this we will define a new web resource of type JScript and use the following JScript code. Now, we will customize the containing form (Expense Claim) and call this function during the OnChange event of the primary lookup value (Expense Category). Save and publish all customizations and verify the results.